Late rapper XXXTentacion has become somewhat of a legend in the music world. A South Florida artist who first found success on streaming platform SoundCloud, XXXTentacion (born Jahseh Onfroy) was noted for his fluidity between genres and his brash delivery of lyrics. That, coupled with his wildly successful album ? (2018) and his cult-like following, made it clear that the "Look At Me" rapper was positioned to reach the highest levels of success in music. Unfortunately, he died tragically on June 18, 2018. According to multiple reports, he was robbed and gunned down after leaving a motorsports store. The news of his death at the tender age of 20 left the world stunned, unleashing an outpouring of grief and condolences for the rapper. While the tabloids often covered stories related to his sometimes troubling behavior during his life, it seems as though they didn't catch every detail. In fact, some of the biggest things about the "Moonlight" crooner weren't made public until after he passed — here they are. 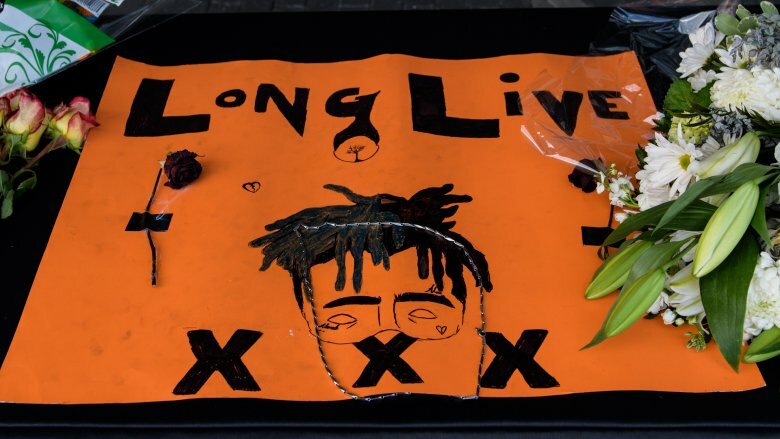 Because XXXTentacion was known for sharing his deepest thoughts and pensive reflections, when he posted an Instagram Live video discussing what he wanted his legacy to be in the event that he died from a "tragic death," it didn't come as a shock to his fans. In hindsight, however, it seems like a chilling foreshadow. "If worse thing comes to worst, and I f***ing die a tragic death or some s**t and I'm not able to see out my dreams, I at least want to know that the kids perceived my message and were able to make something of themselves and able to take my message and use it and turn it into something positive and to at least have a good life," the "SAD!" rapper said in the video that went viral on the same day of his death after Twitter user @BuxiLife re-uploaded it. "If I'm going to die or ever be a sacrifice, I want to make sure that my life made at least five million kids happy or they found some sort of answers or resolve in my life regardless of the negative around my name, regardless of the bad things people say to me," the rapper added. Sadly, this dark harbinger came true on that fateful day in June 2018, when he was shot in a brazen daylight attack. When security footage emerged in September 2018 showing XXXTentacion's alleged killers ambushing and shooting him at the motorsports store, there was one question on everyone's minds: where the heck was his security? Well, according to his lawyer David Bogenschutz, he'd urged XXXTentacion to get more protection before his death. "We talked about him needing security, that he was past the point of being a kid making melodies on a street corner," Bogenschutz told the Sun-Sentinel just one day after his client's murder. That same day, a friend of XXXTentacion's told The Daily Mail that the "Jocelyn Flores" rapper had, indeed, starting taking steps to protect himself. "He did not travel alone, he never traveled alone — he knew that he has enemies, obviously," the friend explained, reiterating, "He would not go places alone." Even so, it's hard to tell whether the safety measures could have saved his life. When XXXTentacion was assaulted by a fan at a show in 2017, he told TMZ that his assailant "got past 12 security guards to get to him." Though XXXTentacion achieved celebrity status, he generally stuck to working with his friends and underground collaborators during his lifetime, including fellow Florida rapper Ski Mask the Slump God, and Ohio artist Trippie Redd. When he died, however, it was revealed that he actually had records with some of the most notable faces in the music business. 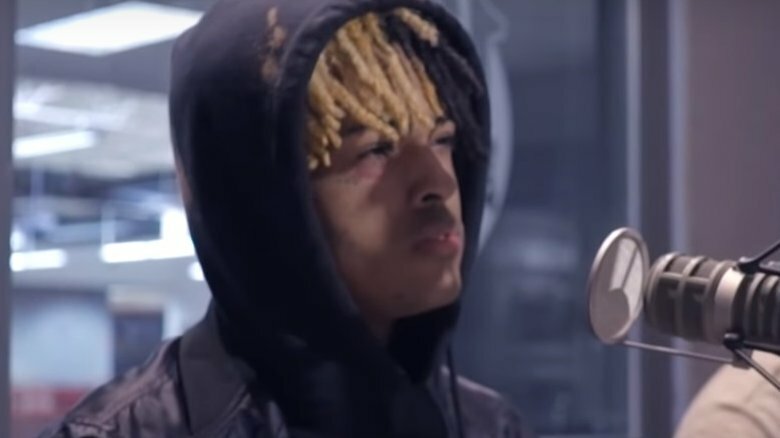 In October 2018, four months after XXXTentacion's death, a song titled "Arms Around You," featuring him, Swae Lee, Lil Pump, and Maluma was released. According to Pitchfork, the track was co-produced by Grammy-winning powerhouse Skrillex, and reached No. 28 on Billboard's Hot 100. 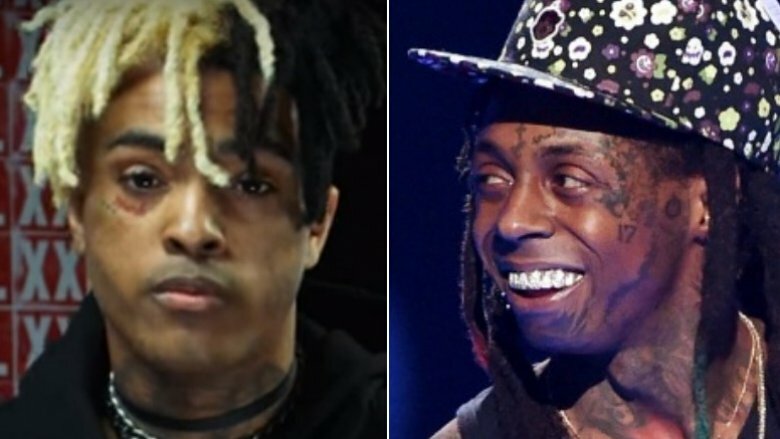 According to TMZ, XXXTentacion also posthumously teamed up with Lil Wayne for his Tha Carter V single "Don't Cry," although he had no clue that the hook he recorded with an unaffiliated producer months before would somehow make its way to Weezy. But it did, and the song nabbed the No. 5 spot on Billboard's Hot 100 chart. Wayne admitted that he didn't even know who XXXTentacion was prior to his death, and that his "big homie Mack [Maine]" was the one who introduced him to the late artist's work. After becoming familiar with XXXTentacion, "it wasn't such a thing as yes or no," Wayne said of collaborating with the late rapper in an interview with Elliott Wilson (via HotNewHipHop). "It was let me get my verses together." Just weeks before his sudden death, XXXTentacion ironed out a $10 million record deal with Empire, independent music label that gave him his first shot with his 2017 debut album 17, according to The New York Times. The deal was reportedly for XXXTentacion's third project, following 2018's ?. 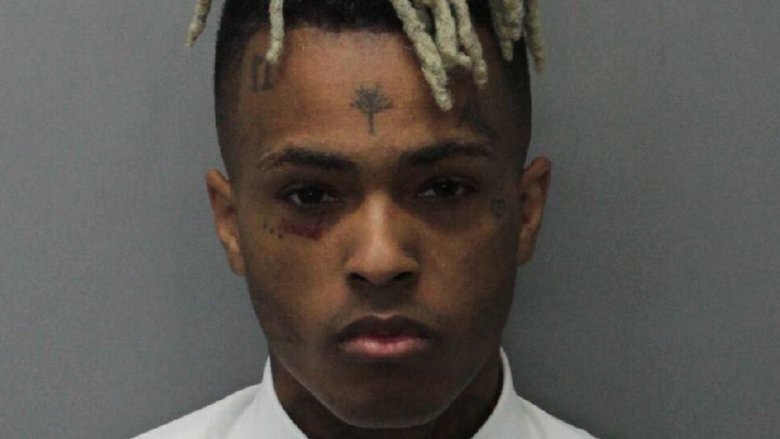 Empire founder Ghazi Shami told the Times that XXXTentacion had finished "a significant amount of material" for the project, but "there were no firm plans for its release." 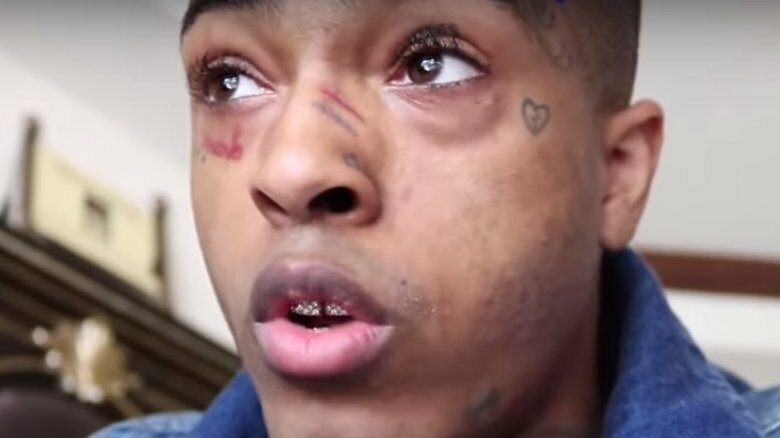 XXXTentacion had signed multiple deals during his lifetime, and because of a clause in one with Universal Music Group, the Times reported that a new album wouldn't be released until that October at the earliest. Fans got their first taste of what the slain rapper was working on before his death when, in November 2018, a new song "BAD!" was unveiled. 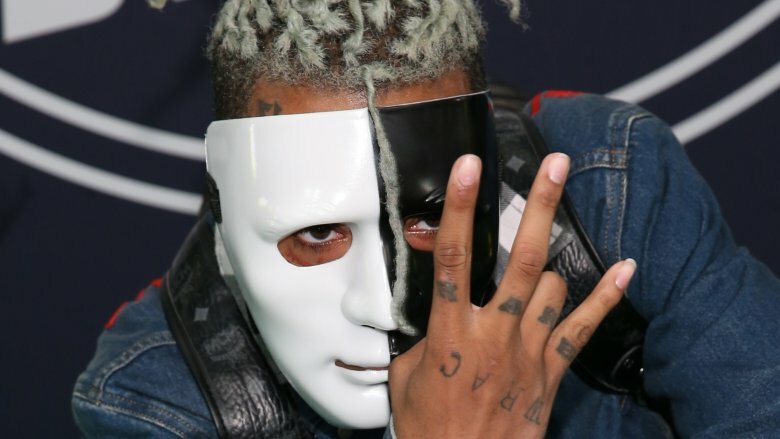 It was also announced that a posthumous album Skins would be released on Dec. 7, 2018. Stay tuned. To be fair, a lot of people didn't like the 2016 presidential candidates. But unlike many others, XXXTentacion's dislike of the White House hopefuls wasn't made public until after he died. The revelation came in the form of secret recordings obtained by Pitchfork, dating back to 2016 when he was behind bars for violating his house arrest on multiple charges (more on those later). With the days until the election winding down, XXXTentacion told a friend by phone (via Pitchfork), "Once Trump get in, it's over for all the minorities pretty much." He continued, "You gotta realize, that president sh*t is real. That's why n****s be sayin' make sure you vote," If Donald Trump won, XXXTentacion theorized, "the lower classes are gonna be f*cked." As for Trump's political opponent? 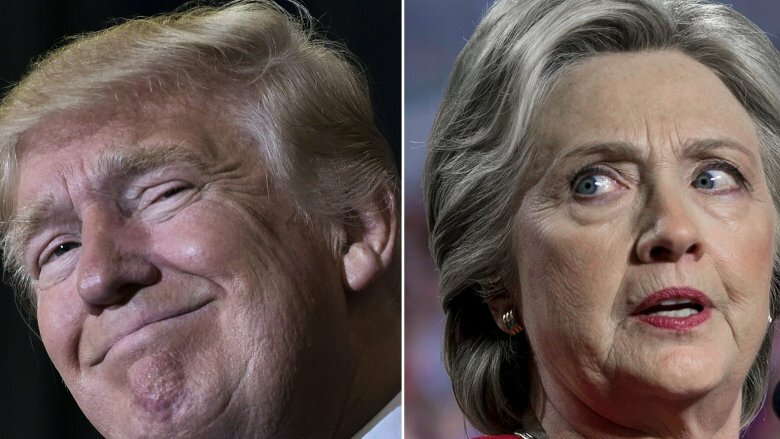 According to XXXTentacion, Hillary Clinton wasn't all that great, either. "Yeah, Hillary's garbage too," he quipped. XXXTentacion's disdain for Donald Trump and Hillary Clinton weren't his only confessions. Pitchfork obtained another secret recording of XXXTentacion discussing his 2016 domestic abuse case against his ex-girlfriend, who alleged that he choked her, threatened to drown her, repeatedly broke clothes hangers on her body, and threatened to use a barbecue fork to sexually assault her. 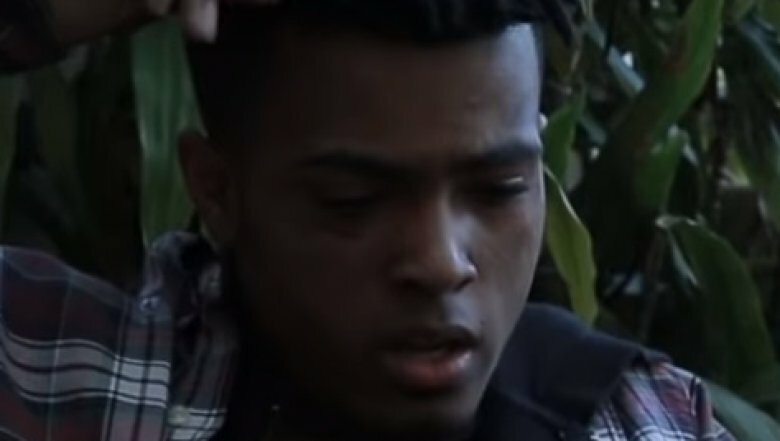 XXXTentacion pleaded not guilty to the charges and maintained his innocence until his death, yet the recording, which was taken without his knowledge, appeared to show him confessing to the crime. "She fell through on every occasion until now. Until I started f***ing her up bruh," he said in the tape. "I started f***ing her up because she made one mistake. And from there, the whole cycle went down. Now she's scared. That girl is scared for her life." According to Pitchfork, "both the prosecution and XXXTentacion's defense considered the tape a confession." However, he died before he saw his day in court and the case was subsequently dropped. Although XXXTentacion's life was cut short, his memory lives on through his diehard fans, his timeless records, and — surprisingly — a child. Three days after his death, his mother, Cleopatra Bernard, announced the news through a sweet (now-deleted) sonogram photo shared hisInstagram. "He left us a final gift," Bernard captioned the post (via People). The snapshot, taken in April 2018, stated that the mother (who XXXTentacion had reportedly been dating for months), was just over eight weeks pregnant at the time, placing their baby's due date around November 2018. Though the news came as an absolute shock to XXXTentacion's fans, he apparently knew about the baby. According to TMZ, he only kept the news private to ensure that his baby's mother had "a stress-free pregnancy." Bernard later announced on Instagram that the child is a boy, and she's already got a nickname for him: "Baby X," via Billboard.